Daughter of Pastor Chris Oyakhilome, the president of Believers’ Loveworld, also known as Christ Embassy, Carrissa Sharon Oyakhilome is set to get married to her fiance in October. 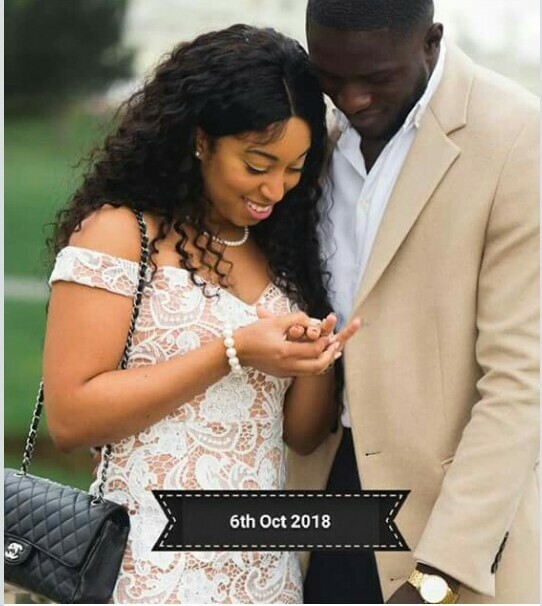 The UK based Gospel artiste who got engaged last year to Philip Frimpong in London is set to finally tie the knot with her Ghanaian heartrob. Philip Frimpong is the co-founder of ONUA, a fast growing online advertising company that promotes West African artistry. Sharon took to her Facebook page ‘We Love CSO,’ to share the good news; “CSO Weds Phillip. Save the date… 6th Oct 2018” ” she shared. Sharon, 25, is the first of two daughters of Chris Oyakhilome and ex-wife, Anita Ebhodaghe. The wedding will happen in Lagos.